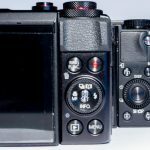 Home / Digital Camera Comparison / Photo lab – The Nikon D850 vs.the D810 vs. Sony A7R II vs. Canon EOS 5DsR, which is better? It’s brand new, it’s beautiful, and above all, it has arrived at our photo lab: the Nikon D850. And what a joy it is! It’s enough to make us happy to have returned from holidays. And we are full of energy and motivation as well as curiosity: so, how does its 45.7 megapixel BSI CMOS 45,7 sensor stack up against the current kings of high definition? It was not difficult to make a selection of cameras able to compete with the Nikon D850 as its only serious competitors are: its predecessor – the D810, the Sony Alpha 7R II and the Canon EOS 5Ds R. In order to avoid favoritism, for the purposes of this test, all of these cameras will be mounted with a Sigma Art 35 mm f/1.4 DG HSM lens (one with a Nikon F mount and one with a Canon EF mount). The two questions we will be asking are: what can Imatest tell us about the resolving power of the Nikon D850? And, how does the camera behave at high ISO sensitivity values? The Imatest software, in association with SFRplus chart, is able to measure the resolving power of a given lens relative to a given sensor. In other words, while using the same lens, this test will determine a camera’s ability to distinguish very fine details in three distinct zones: the center, periphery, and edges of the frame. The graphs it produces are very easy to read: the higher the curves, the better (as far as resolving power is concerned), and the closer the three curves are to each other, the better (in terms of the lens’s homogeneity at a given aperture opening). You can click on the images below to enlarge them. Compared to the D810, the D850 is more precise at wider aperture, despite being equivalent at f/8. However, the D850’s increased definition makes it more susceptible to diffraction effects. If you commonly operate at f/11 and beyond, the D810 would probably be better suited to your needs. 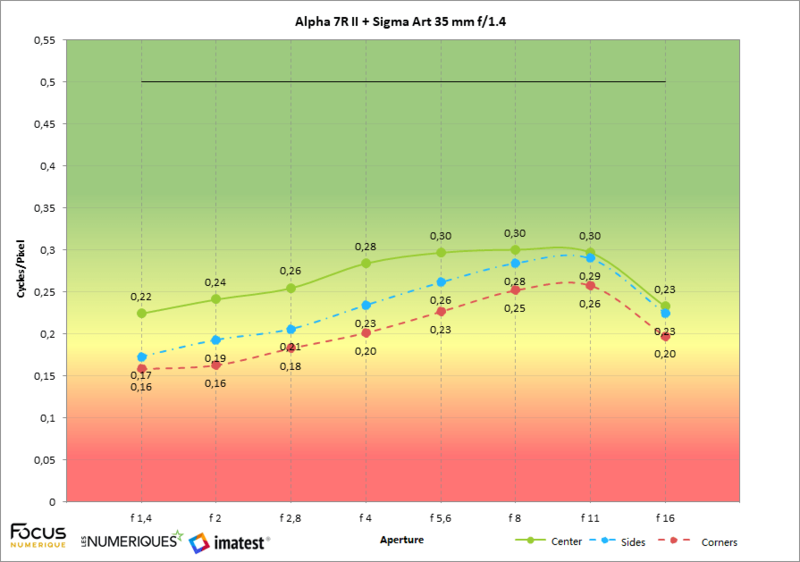 Compared to the Sony Alpha 7R II – technically very similar (45.7 megapixel BSI CMOS sensor for Nikon and 42.4 megapixel sensor for the Sony) – the D850 has better resolving power at all aperture openings – especially between f/1.4 and f/5.6 (when using our particular test lens). 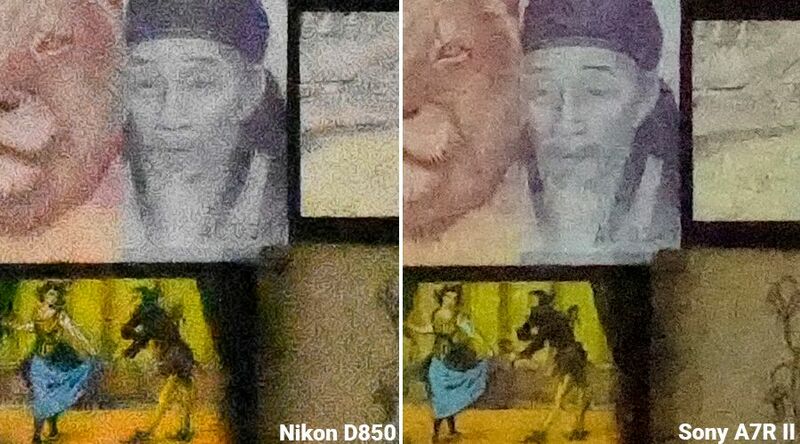 Compared to the Canon EOS 5Ds R, the Nikon D850 is also better at managing diffraction effects. Beyond f/5.6, there is a sudden collapse in the Canon’s performance, all the more tragic since its high definition sensor allows it to reach the same ISO sensitivity as the Nikon. Outside of the studio environment, the D850 will, therefore, prove to be more versatile. While it still has the same base sensitivity as the D810 (64 ISO), the Nikon D850 has gained one diaphragm since it is now able to increase its sensitivity to 102 400 ISO, making it the equal of the Sony Alpha 7R II which is, however, able to lower its sensitivity to 50 ISO (base sensitivity of 100 ISO). 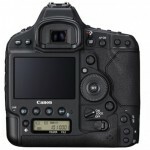 The Canon, for its part, doesn’t seem to be playing in the same league as its counterparts, since it is “only” able to increase its sensitivity to 12 800 ISO and has a base sensitivity of 100 ISO – which can be lowered to 50 ISO. We will not be testing the full range of ISO sensitivities today: we will keep that for the test that we will release next Tuesday (if all goes according to plan). Instead, we will be taking a look at a few key sensitivity values: 100 ISO, 3 200 ISO, 6 400 ISO, 12 800 ISO, 51 200 ISO and 102 400 ISO. All of the following images were captured using the Sigma Art 35 mm f/1.4 DG HSM lens with an aperture opening of f/8 – in accordance with what we learned from Imatest. At 100 ISO, it is hard to distinguish, at first glance, excellent results from true excellence. There is, however, one big difference that jumps out at us: susceptibility to the Moiré effect. 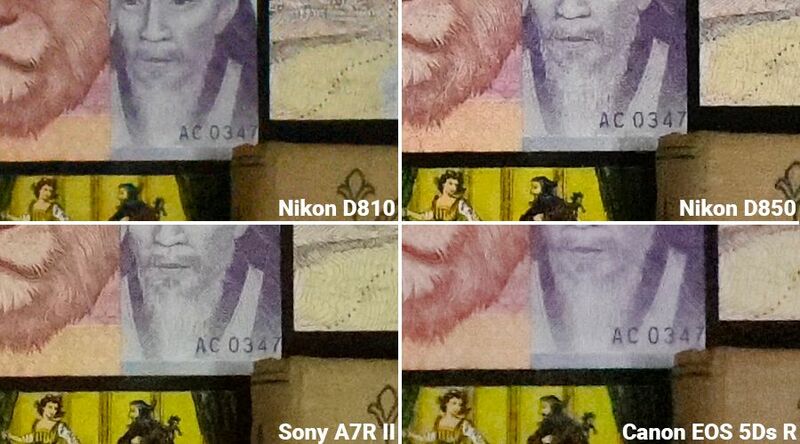 This effect is clearly visible on the collar of the person appearing on the banknote in the photos taken with the Nikon D810 and the Sony A7R II (both of which do not have a low-pass filter); however, this effect is absent in the images captured by the Nikon D850 (which does not have a low-pass filter either) as well as by the Canon EOS 5Ds R (which has a low-pass filter that can be deactivated). In terms of resolution, even though the Nikon D850 does not have the most definition, it is able to do a slightly better job at reproducing detail than its counterparts – something which can best be seen in the lion’s mane. These are two points in the D850’s favor which should make this camera appealing to fashion photographers and portrait artists. Let’s skip directly to 3,200 ISO, which is an increasingly commonly used ISO value – one at which it becomes possible to separate the wheat from the chaff. At this sensitivity value, the Canon begins to struggle whereas both of the Nikons and the Sony are at ease – with a slight advantage going to the Sony in terms of finesse – immediately followed by the D850; the D810 finishes in third place. At 6 400 ISO, the two BSI CMOS sensors (Nikon D850 and Sony A7R II) prove their worth, but it is difficult to tell whether one performs better than the other. The Sony is somewhat more detailed – at the expense of producing slightly desaturated images – whereas the Nikon conserves its color fidelity, but misses a few details. In either case, photographing in RAW format would not solve the problem. At 12 800 ISO, the Canon EOS 5Ds R reaches its maximum ISO sensitivity and pays the price for its very high definition. The D810 begins to show signs of weakness with significant smoothing in order to manage the chromatic noise it that produces. 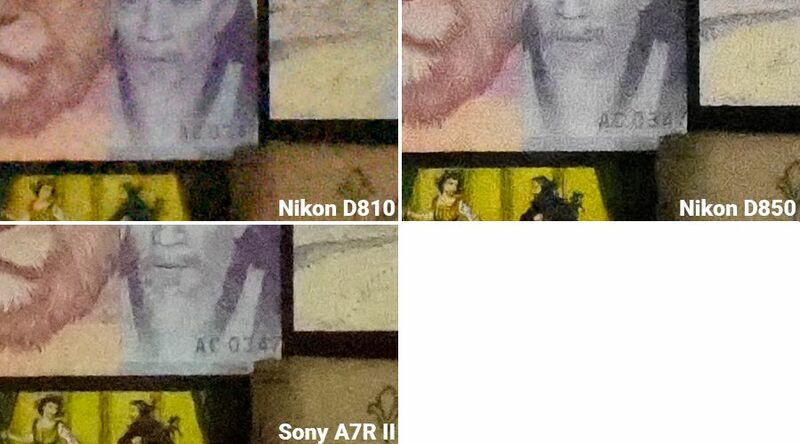 The D850 and A7R II continue their lead over the competition – the Nikon even moves ahead of the Sony due to a fuller image (see the beard) and better chromatic noise management. At 51 200 ISO, the D810 (for which this is its maximum ISO sensitivity) throws in the towel. It is still possible to distinguish the banknote’s number on the images captured by the other two cameras, but the D850 is even more subtle than the Sony when it comes to capturing details of the two characters in the scene at the bottom left of the banknote. The D850 is also able to better contain overflows in the dark areas. At maximum ISO sensitivity, the divergent philosophies of these cameras’ manufacturers become evident. Nikon limits smoothing at the expense of a more pronounced grain and a more uniform result whereas Sony is more aggressive, but also more nuanced. In the case of the book cover, for example, the D850 buries all of the detail underneath a uniform amount of grain, but the Sony is able to capture details of the cover’s texture and of the arabesque. The same behavior can be seen in the case of the two tarot card figures. 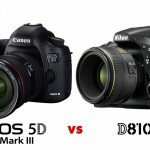 In all honesty, we would be hard-pressed to give our preference to either of these devices, but taking into account the results across the full range of sensitivities, we must confess that we have a slight preference for the D850 due to its better color fidelity…in JPEG file format – although these cameras are likely to spend most of their lives operating in RAW file format. 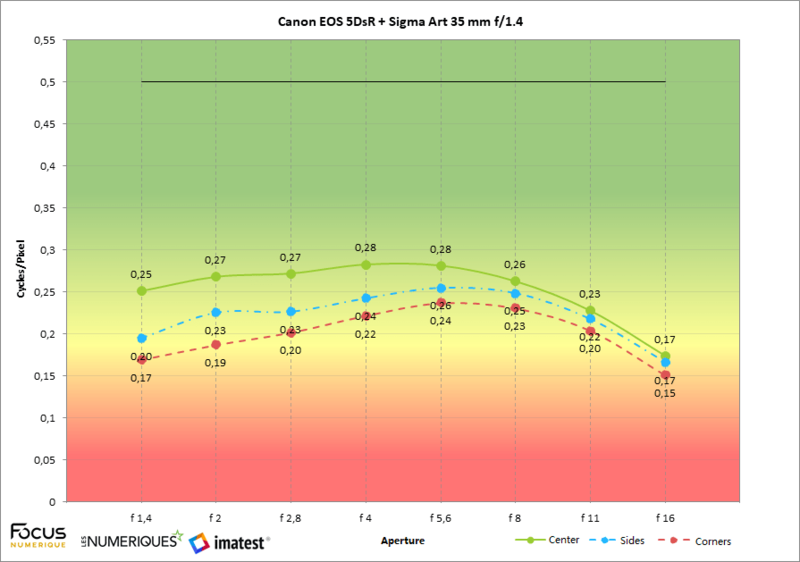 Previous Canon EOS M50 vs. EOS M100 vs. EOS M6/M5: What’s the difference?